Hollywood is running out of ideas. Hence, the constant stream of remakes of classic 80’s movies. Karate Kid, Clash of the Titans, Tron, and now Footloose. Why can’t they just leave well enough alone? I am saddened by the fact that the world’s children may never experience the wonder of a Ralph Macchio crane kick, or Harry Hamlin fighting a sea monster made out of playdough, all because of shiny new retreads. If they come out with some new auto-tune pop version of Kenny Loggins’ Footloose theme, I’m gonna scream. By the way, I’m writing this as I smoke a corn cob pipe in my rocking chair. 1. Sometimes a little defiance is what the world needs. There are basically two camps in Footloose - the young people and their quest for self-expression, and the town elders and their quest for moral protection. While being concerned with morals and values is important, clearly the adults went overboard in the movie - even to the point that they were burning books. The whole town needed a course correction; a splash of cold water in the face. The adults in the community had become so narrowly obsessed with protecting their young people from sin, that they were essentially killing each young person’s sense of self. Enter Ren and his “radical” notion that there’s nothing wrong with dancing and listening to loud music. He led small acts of defiance which eventually led to a revolutionary change for the community. As a leader (and teacher, parent, etc. ), the moments that drive you the craziest are those moments when those you are leading “act out” against expectations. Sometimes it’s entirely right to correct them and remind them of why the expectations exist. However, it’s also entirely right for a leader to stop and think about why that defiance happened. Are your followers telling you something? Perhaps they are showing you that the environment is too confining, or that decisions are being made too unilaterally. Or, perhaps they are in fact leading you in those moments. They are opening up a pathway that you could not see. 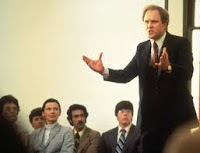 In higher education we talk a lot about “shared leadership” or that all people are leaders. If that’s true, then the first thing that needs to go is the tight control that the Reverend in Footloose was exerting. Don’t bristle at defiance. Come to understand and accept it - and maybe even embrace it a little. 2. Dancing around an empty warehouse may not be your thing, but you should take time to unleash your passion. When I work with nonprofit executive directors, I observe an internal struggle they are contending with. They started or joined up with the organization because they believed in the cause and wanted to “make a difference.” As the organization developed and they were elevated to executive roles, the passion for the cause became overwhelmed by the mundane practices of running an business - budgets, benefits, board management, personnel issues, etc. Those who navigate that shift well do so because they still find intentional ways to remind themselves of the cause that still calls their heart. 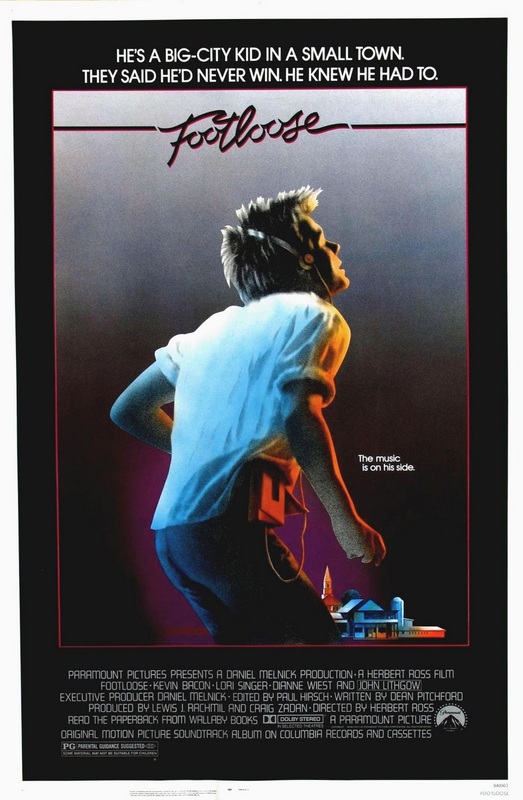 One of the most famous scenes in Footloose is when Ren (Kevin Bacon) drives into an old warehouse and does a burning solo dance routine (including some impressive uneven bar gymnastics on the pipes). His dance is more a result of rage and frustration. He just needed to let it out. Sometimes leaders have to find ways to deal with frustration as well, but I would broaden it to include any opportunity to escape the day-to-day grind of your work and rediscover the passion that led you there. Read more. Delegate more. Spend more time in the trenches again. 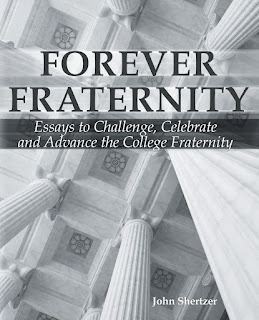 For fraternity and sorority leaders, don’t stop having fun. Laugh more. As a leader, you are constantly with other people and dealing with the details. Finding some private time to tear it up in a warehouse may be just what you need. 3. Don’t play games of chicken with farm machinery. Seriously, someone could have been killed! 4. If given the opportunity, people may surprise you with how well they dance. A constant challenge for a leader is understanding the strengths of those you lead. Sharing leadership means putting people in a position to succeed. If you are tasking the abstract-thinker with the house manager job for example, be prepared for chaos. 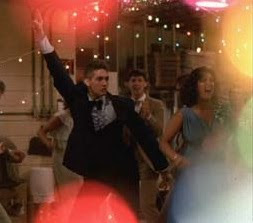 One of the campiest elements of Footloose is how the high school students - having their first school dance ever - could all of the sudden do moves that would make Michael Jackson’s jaw drop. There was even a dude that could breakdance. Anyhow, the lesson is that some people have talents and strengths that we never see simply because they haven’t been allowed to use them. Perhaps their is a man or woman in your organization who doesn’t fit the typical mold of a leader, and so you’ve been hesitant to give him/her responsibility. Let your impressions inform you, but don’t let them control you. Perhaps that person is just one opportunity away from doing something extraordinary, such as a toprock that would make Paula Abdul jealous. 5. Stand up to the town elders, but do so with respect. Some may regard Ren’s speech at the town council meeting as the climatic turning point for the community. However, remember that after that speech, the council still voted to uphold the ban on dancing. So the young people circumvented the law by holding the dance just over the county line. This was an “in your face” move to the town elders, and most would have left it at that and went to the dance with their middle fingers in the air. To me, the turning point in the movie was when Ren went to the Reverend’s house to try and personally convince him to allow the dance. He went for an honest conversation, which included listening and finding common ground. This showed maturity on his part and respect for the position that the Reverend and others had taken over the years. His desire to make change, coupled with his respect for past decisions, produced better results. A couple of takeways from this. First, a good speech can win fans but personal conversations win hearts. The one-on-one conversation is the single-most irreplaceable tool that a leader has. Secondly, almost all people have reasons for doing what they do and believing what they believe, and each person believes their reasons to be legitimate. The adults in Footloose were not acting out of hate, but rather out of concern. When you respect others viewpoints and treat them as legitimate, they will be more receptive to you when you want to change them. For fraternity and sorority leaders, consider that the next time you go see your Greek Advisor (and vice versa). So there - a few simple lessons and reminders from Footloose. Watch the new version if you must, for I assume similar themes will emerge. But I will keep the original as my go-to source for a story about defiant leadership that can change a community. 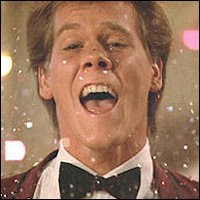 Remember, as a leader, to not be afraid to cut footloose every once in a while. As Ren, the new kid in town, so famously shouted, "Let's Dance!" Is it Hazing? Just Ask.